Wornington Green is a delightful new urban quarter laid out around a network of intimately scaled tree lined streets with a beautiful new park at its heart. 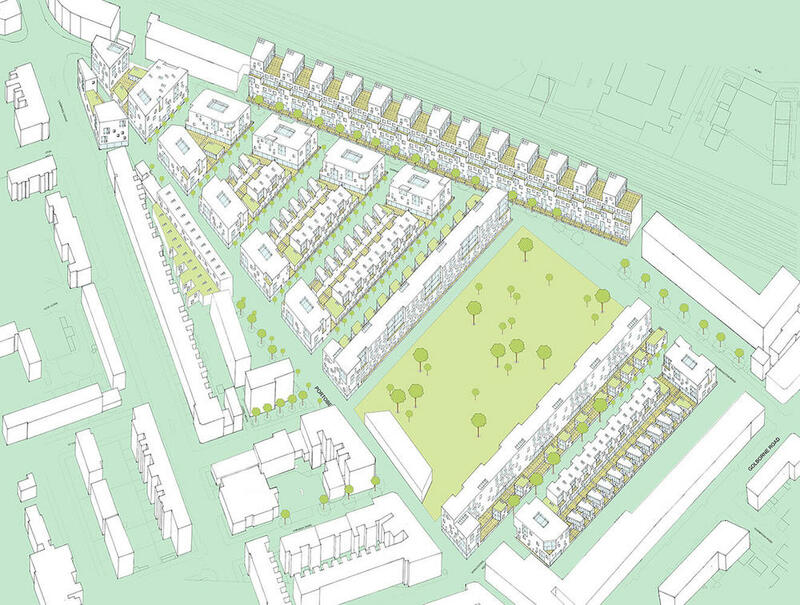 The new neighbourhood is organised around a ladder of new mews streets running from north to south and connecting Wornington Road and Portobello Road. Portobello Road itself is extended so that it reconnects with Ladbroke Grove and Wornington Road at the north west corner of the site - a vitally important north /south route which was blocked when the current estate was built in the 1970's. Non residential uses are introduced in the ground floor of buildings fronting Portobello Road including new offices for Kensington Housing Trust, work spaces, shops and the new Venture Centre. 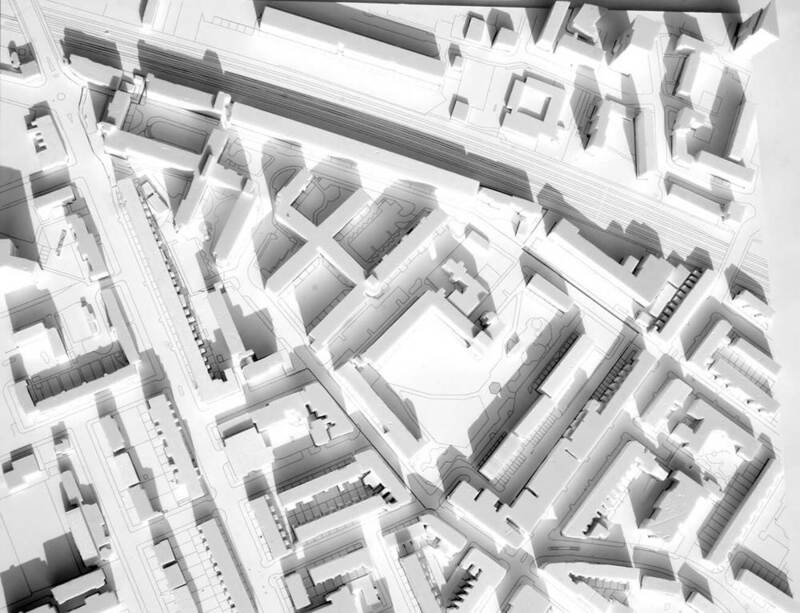 Dwellings are between 1 and 3 storeys high in the mews streets, rising to 5 storeys where they front Portobello Road and Wornington Road and 7 storeys fronting the new park. 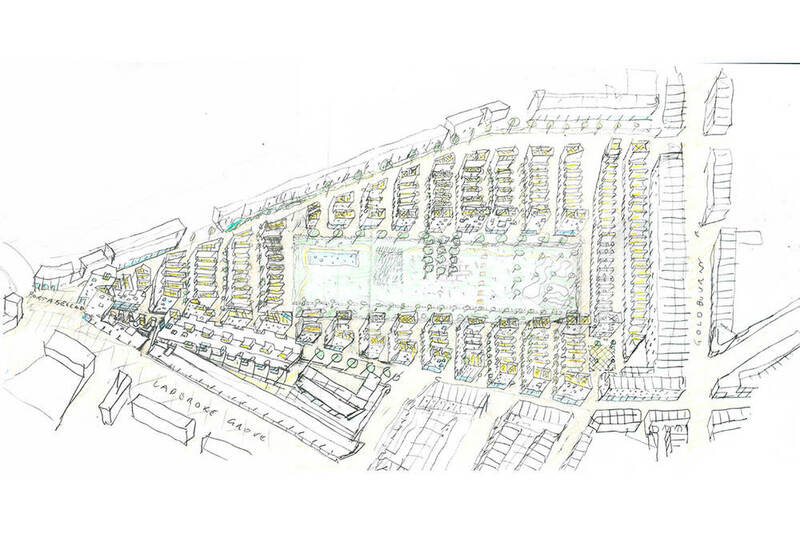 The scheme provides approximately 900 new dwellings.